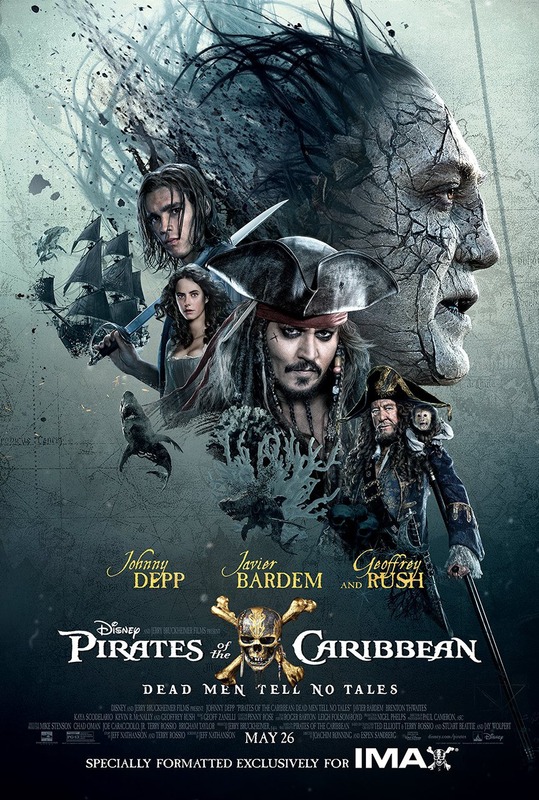 Starring: Johnny Depp, Javier Bardem, Brenton Thwaites, Kaya Scodelario, Kevin R.
The rip-roaring adventure finds down-on-his-luck Captain Jack (Johnny Depp) feeling the winds of ill-fortune blowing strongly his way when deadly ghost sailors, led by the terrifying Captain Salazar (Javier Bardem), escape from the Devil’s Triangle bent on killing every pirate at sea—notably Jack. Jack’s only hope of survival lies in the legendary Trident of Poseidon, but to find it he must forge an uneasy alliance with Carina Smyth (Kaya Scodelario), a brilliant and beautiful astronomer, and Henry (Brenton Thwaites), a headstrong young sailor in the Royal Navy. At the helm of the Dying Gull, his pitifully small and shabby ship, Captain Jack seeks not only to reverse his recent spate of ill fortune, but to save his very life from the most formidable and malicious foe he has ever faced. We see Elizabeth Swann and Will Turner sleeping in bed. Outside it is a stormy and rainy night, with thunder and lightning. Suddenly the bedroom door creeks open and a huge monstrous dark figure (or shadow) enters the bedroom and slowly approaches the sleeping couple. Just before the monstrous figure/shadow reaches the bed, Will Turner awakes and the figure dissolves. The scene ends with a pan beneath the bed to show barnacles. Was seeing Pirates of the Caribbean: Dead Men Tell No Tales in IMAX 3D, 3D or 4D worth the cost?